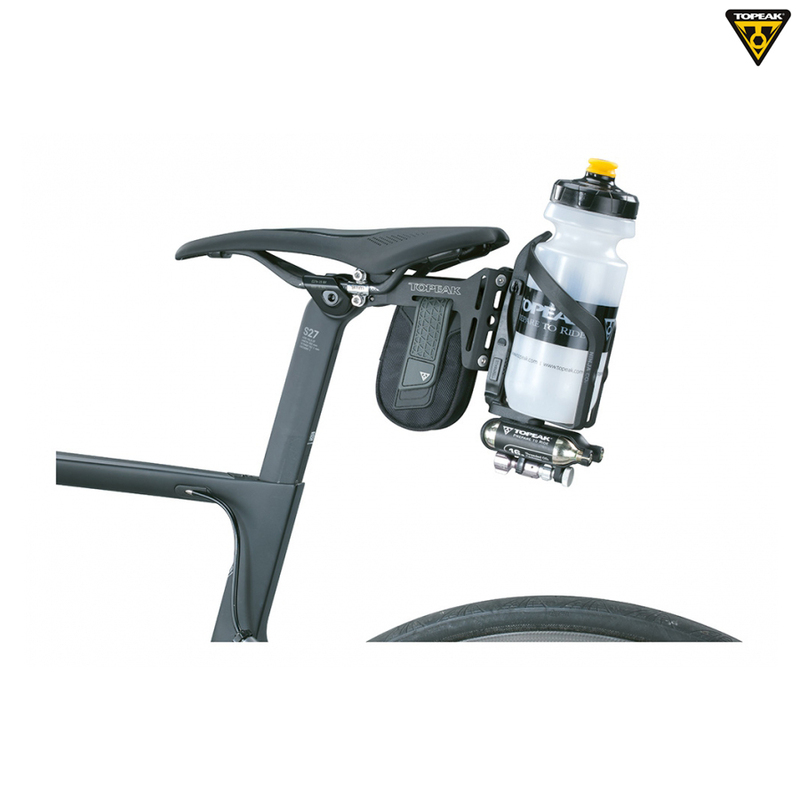 This highly versatile, lightweight mount allows you to carry bottles, tools, tyres, tubes, CO2 inflators and more. Ideal for long training hours in the saddle or when your flat out in a race. Available in 2 versions to mount on horizontal parallel rails, or further back on the 'v' section on the saddle rails.